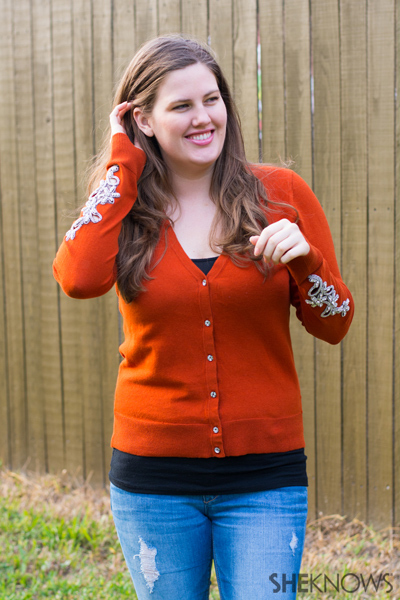 Sew a sparkly appliqué onto the sleeves of a plain cardigan and make some pretty cut-outs. For extra credit, add some fancy buttons to finish the look! 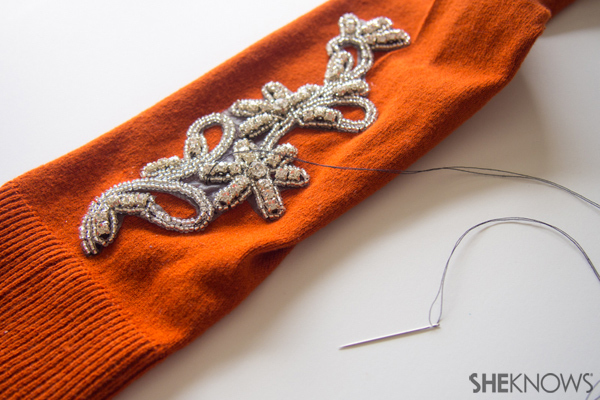 Lay your appliqué in the middle of your sleeve and see if it’s in the spot you like. Pick it up and squeeze some fabric glue on the back and then place back down in the spot you like. Let dry. Take your needle and thread and sew down the appliqué to secure. 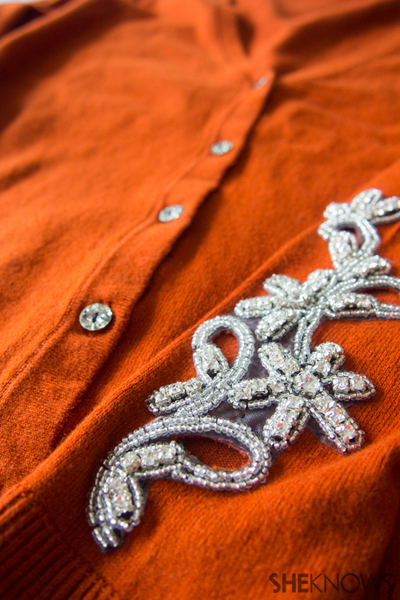 Cut out the sweater from the open areas in the appliqué. You can work from the inside of the sweater if you like. Get as close to the appliqué as you can for the full cut-out effect. 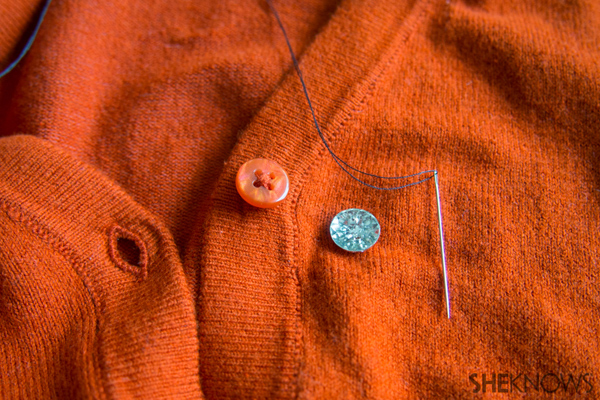 Remove the original buttons by cutting the thread with your scissors. 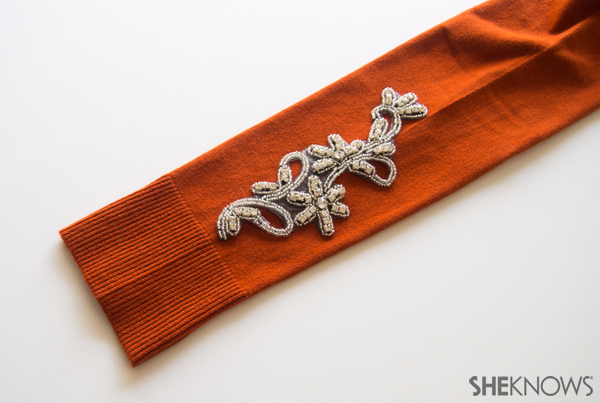 Place the sparkly new button in its place and sew. Do a few rounds of stitches to make it good and secure. 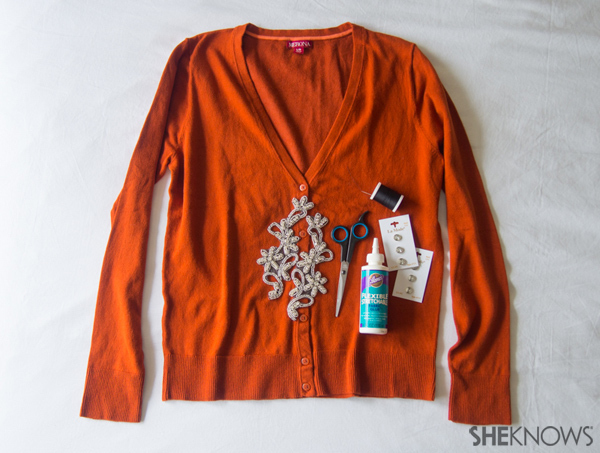 Tie the thread in the inside of the sweater and trim excess thread. Repeat for all the buttons and it’s ready to wear!